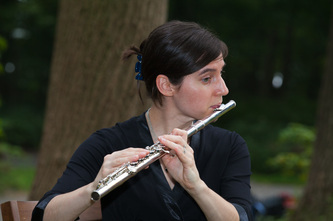 Amanda has performed and studied in the U.S., Canada and abroad, and has master of music degrees in flute performance and music history from Temple University in Philadelphia. In 2007-08, she held principal flute with the Utica Symphony Orchestra (New York). She received scholarships to study at the Cite des Arts Conservatory in Chambery, France, and at the Domaine Forget Music Festival in Saint Irenee, Quebec. 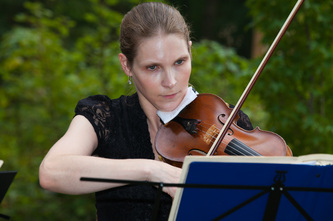 Myanna has been teaching and performing professionally on the violin and viola for fifteen years. She currently has a studio of 40 students. For several years, Myanna has been the strings director at the Upper Moreland Summer Fine Arts Program. She has written a number of arrangements and compositions for string orchestra which have been performed by the Cheltenham Youth Orchestra, the Cedarbrook Middle School Orchestra, and the Centennial School District’s Fine Arts Festival Orchestra. Cassia began her cello studies with Lillian Kauffman and continued with Deborah Reeder and Jeffrey Solow. She has soloed with the Kennett Symphony and the Warminster Symphony. Cassia was first-place winner of the PADESTA, the Concerto Soloists, and the Cafferata-Jackson Competitions. Her performances have been broadcast on Philadelphia’s Channel 57 and New York Public Television. An accomplished teacher, Cassia has authored over one hundred study books for the classical string instruments. Her books are sold and played worldwide, and were exhibited at the International Cello Congress in Kobe, Japan.